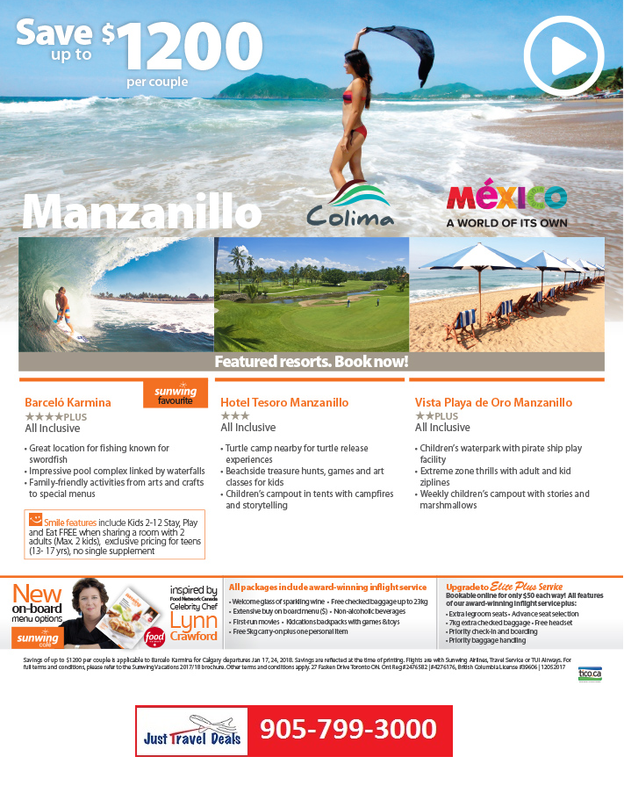 With an average of 350 days of sunshine a year, Manzanillo is a destination made for sun seekers and beach bums. While you'll be tempted to soak in the rays on sandy beaches dotted with banana and coconut palms, there are also plenty of adventure opportunities to discover in Manzanillo. Manzanillo's Centro Historico, or historic centre, was recently refurbished with pedestrian walkways making it a wonderful place to explore boutiques, local bars and cafes. There, you can indulge in colima ceviche, the town's signature dish. Or catch some fresh fish of your own as Manzanillo is known as the Sailfish Capital of the World for its fish-filled waters that draw in sportsmen and amateur anglers alike. Cuyutlan, just southeast of the city, boasts some of the country's best waves for surfing while its black sand beach is uniquely comprised of volcanic rock. Mexico is a land of extremes, with high mountains and deep canyons in the center of the country, sweeping deserts in the north, and dense rain forests in the south and east. It is located between the U.S and Central America. Ancient ruins such as Teotihuacan (Aztec) and Chichen Itza (Mayan) are scattered throughout the country, as are Spanish colonial-era towns. In capital Mexico City, upscale shops, renowned museums and gourmet restaurants cater to modern life. This modern, high-ceilinged bistro is a sure bet. Whether it's a club sandwich or Mexican classics such as enchiladas, the food is spot on (even the seafood pasta!) and the young weekend crowd are certain to be fired up on mescal and craft beer at the attached bar and courtyard. It's a block north of the clock tower. Summer Vacation Sendoff: Receive Up to 65% Off! Kids Stay Free, Resort Credits & More at Velas Resorts in Mexico!